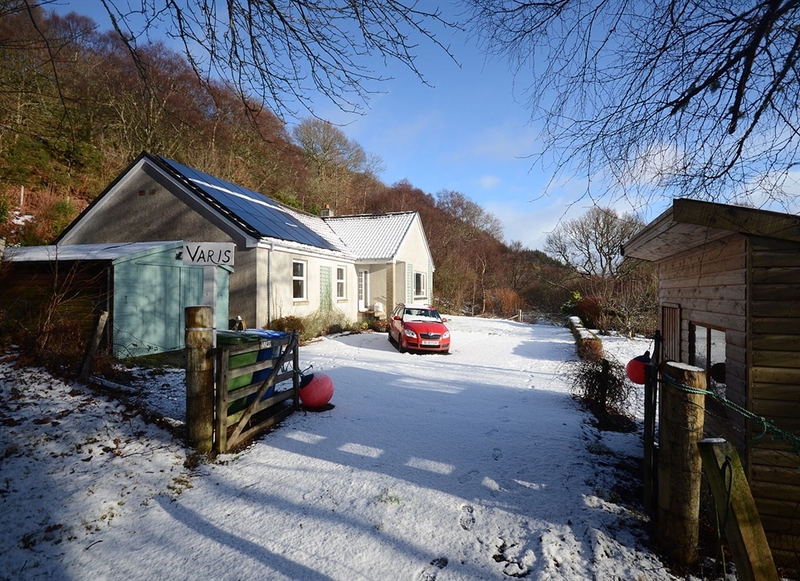 Varis is a spacious 3 bedroomed bungalow (sleeps 6) in a quiet location with elevated views to Skye and Glenelg. 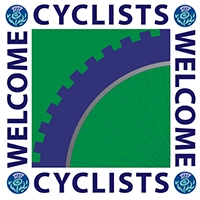 Many local attractions are within easy reach: the Skye Bridge, Plockton & Eilean Donan Castle all within 5 miles. 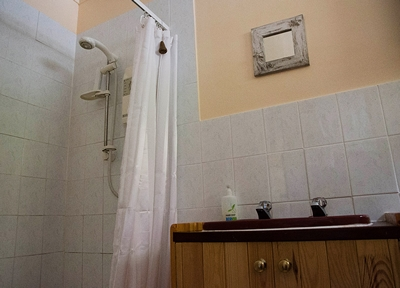 Varis is a comfortable bungalow, well equipped to make your holiday as carefree as possible. 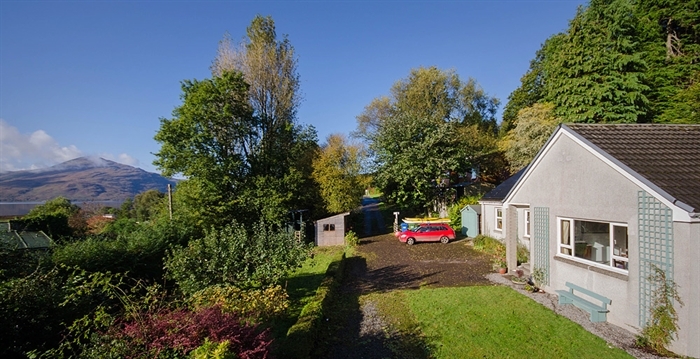 With three bedrooms (one double and two twins or two doubles and one twin), a fantastic living room with views across Lochalsh and a wood burning stove, a 'snug' with TV and WiFi, the house comfortably accommodates six people. 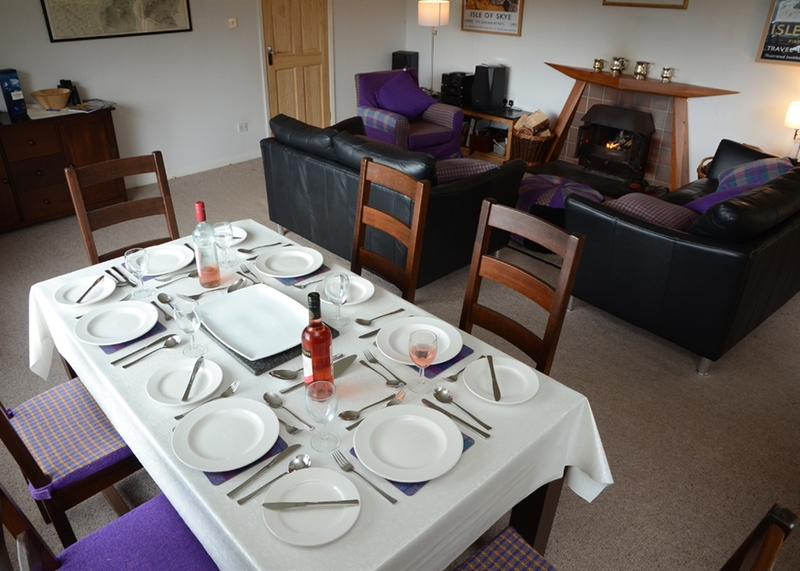 Sitting Room: This large room is comfortably furnished with a wood burning stove, sofas, chair and the dining table. 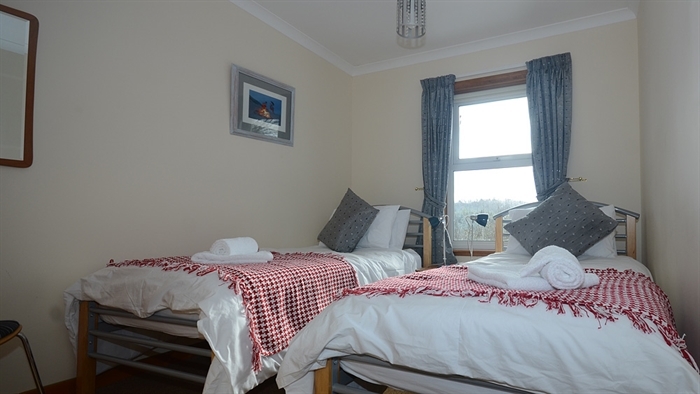 The room boasts views to Kylerhea, the strait between Skye and the main land at Glenelg, complete with telescope and a TV. 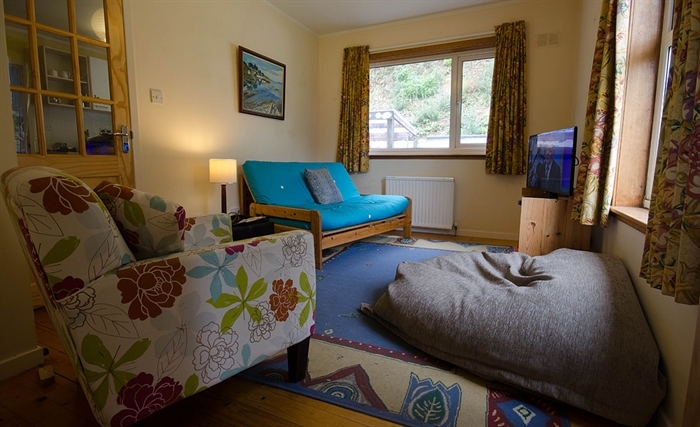 Snug/TV Room: In addition to a sofa and armchairs, this room houses a FreeSat TV and the WiFi hub. 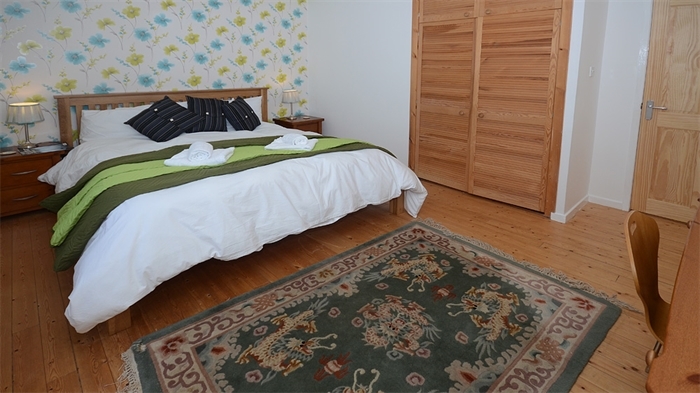 Bedroom 2 has twin beds which can be zipped together on request to make a 6ft super king bed. Bedroom 3 has twin beds and plenty of storage. 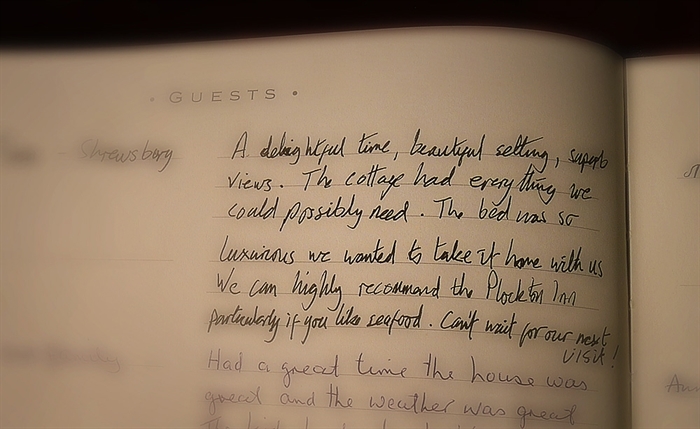 Beds are made up with crisp cotton and all bedrooms have blackout blinds or blackout lined curtains on the windows. 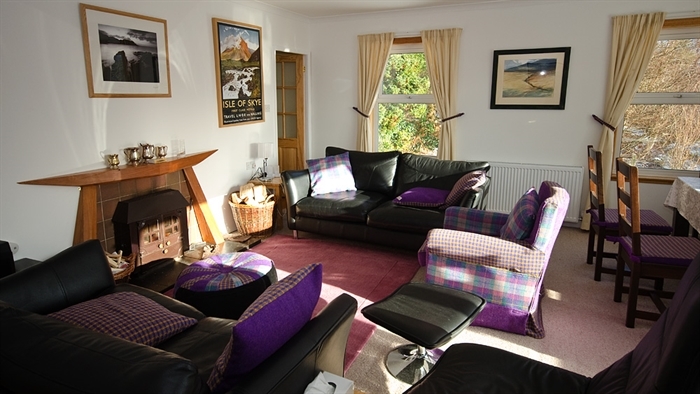 The cosy TV room has a TV (FreeSat) and the broadband hub for the WiFi, giving access to iPlayer etc. It has comfortable chairs and a sofa. 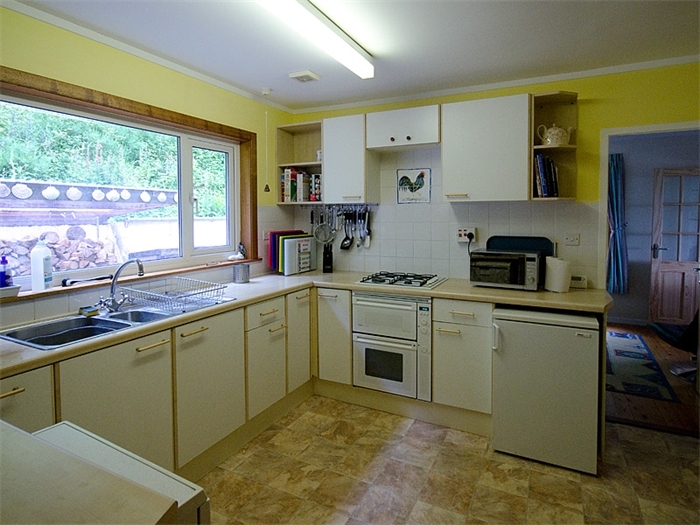 The kitchen is very well equipped with good quality equipment to enable visitors to take full advantage of the wonderful local produce available. 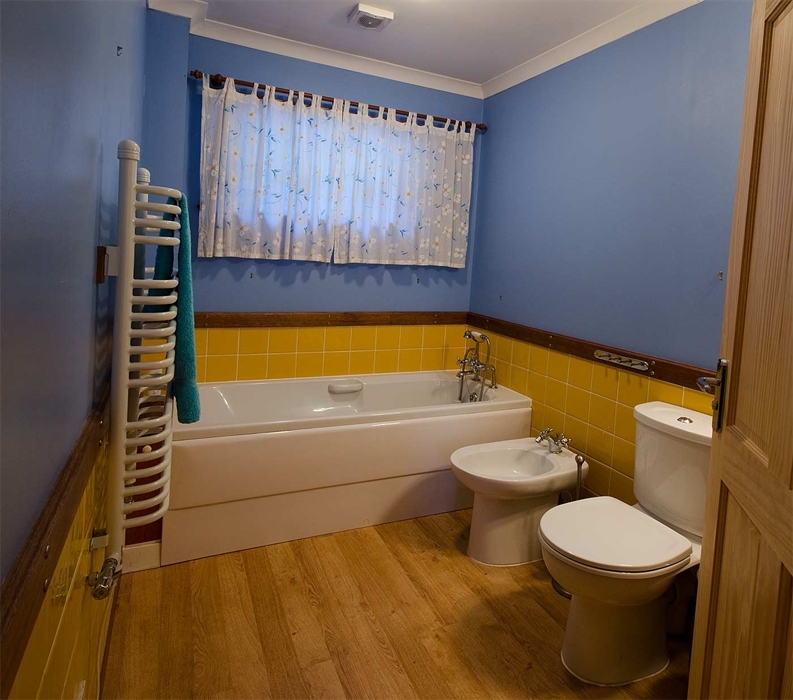 Shower room - shower, basin and toilet. 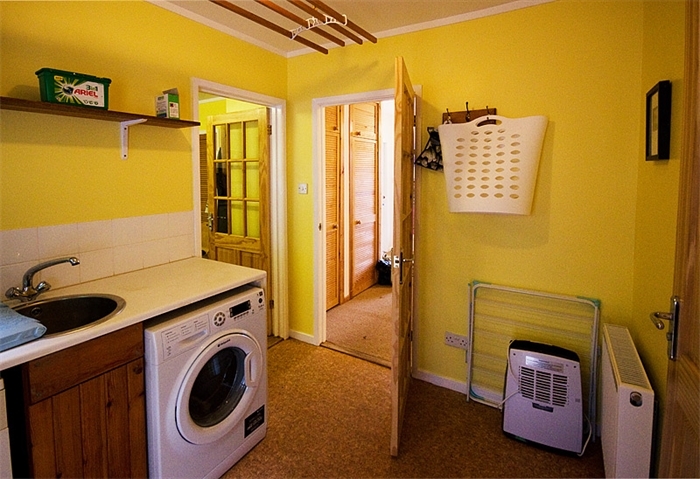 The utility room houses the washing machine, tumble dryer and a dehumidifier. It has plenty of drying space. If more drying space is needed, there is a rotary dryer, covered lines to the rear of the house and drying lines in the garage. 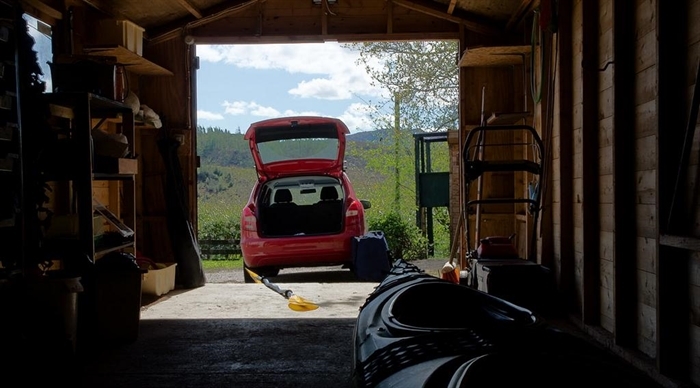 A garage is available for secure storage of outdoor equipment such a bicycles and kayaks. Power and light is available. Outdoor tables and chairs are provided so you can enjoy this secluded spot and the garden can be enclosed..
Pets are welcome by arrangement and the house has direct acess to a network of traffic and livestock free paths. There is a wooden kennel within a blockwork building for dogs who prefer to sleep outside. 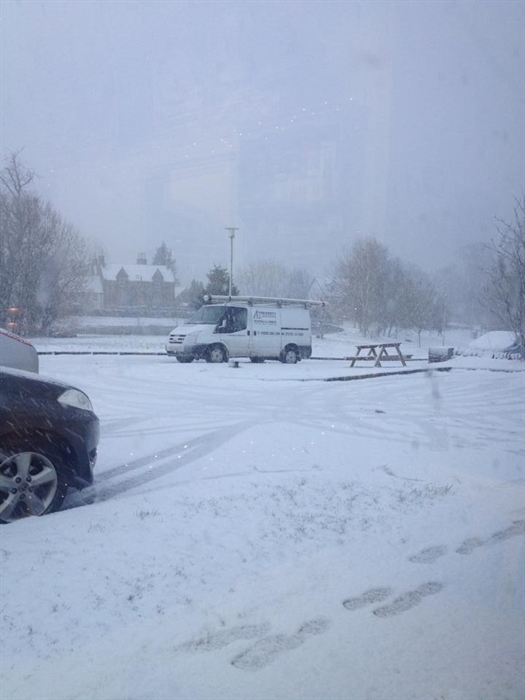 There is plenty of space to park. 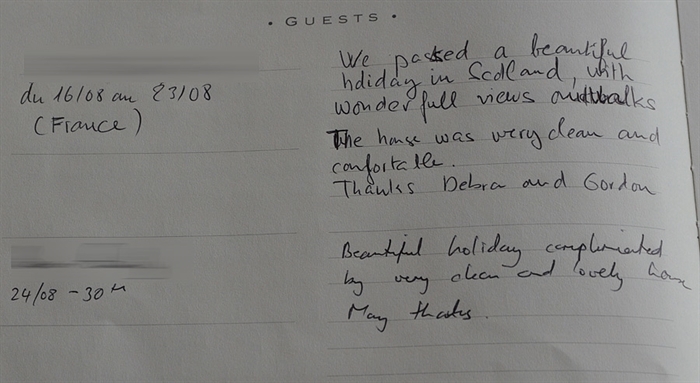 Bookings are Saturday to Saturday in peak season but do ask about short breaks at other times. 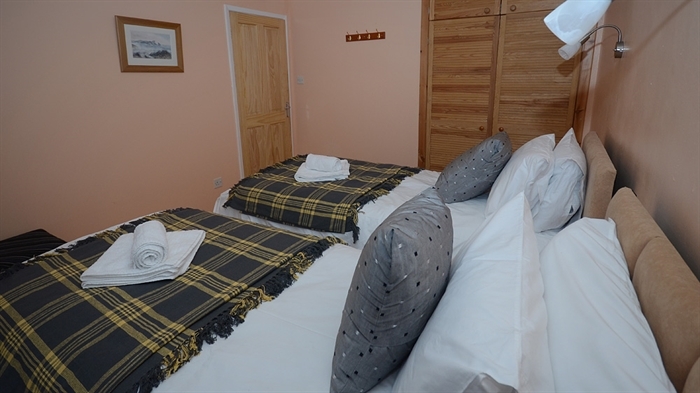 £50 off for couples in March and April. 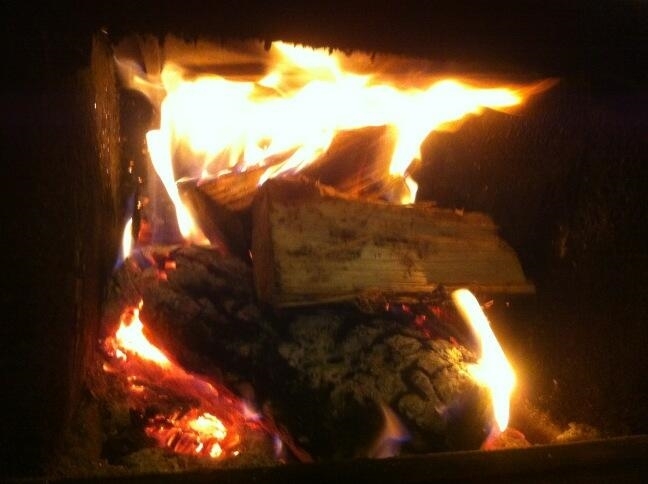 Come and enjoy spacious comfort with a log fire.